Anxiety is the second most common psychological problem, yet remains undiagnosed 75% of the time. In our anxious age, doubts and fears can manifest as simple worries, free-floating anxiety, phobias (agoraphobia, social phobias, etc. ), panic disorders and obsessive-compulsive tendencies. The latter may affect as many as 7 million Americans. 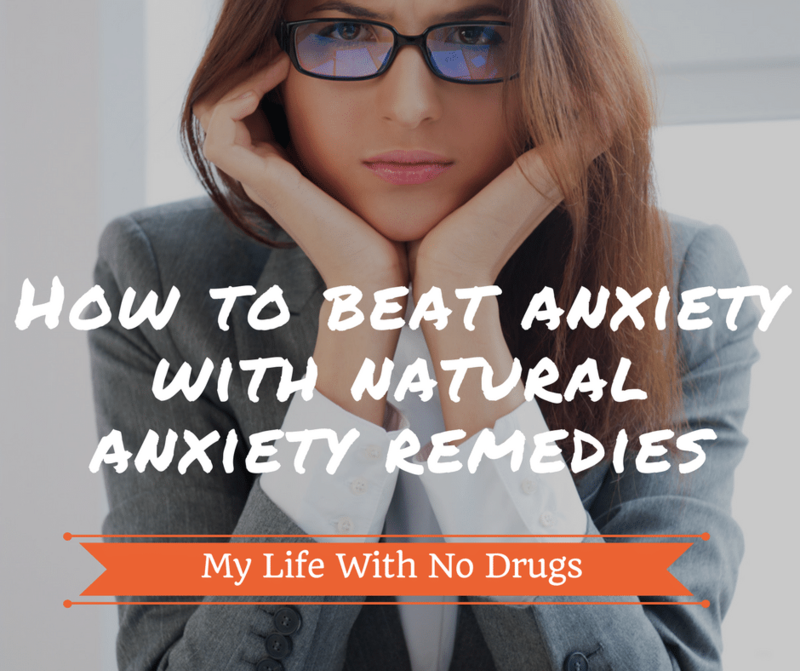 Natural anxiety remedies offer the best approach to complement the traditional treatment. Anxiety is the unpleasant physical and emotional state experienced by a person that may be a combination of fear, apprehension, or worry. Anxiety can be short term or long term. In short-term anxiety, the person feels well after the cause of anxiety has subsided (as when one is worried about visiting a doctor with health report). The long-term anxiety, such as those present due to work stress or incompatible relations with important persons of one’s life may persist for longer and can lead to other medical conditions including tension, migraine headache, and high blood pressure. 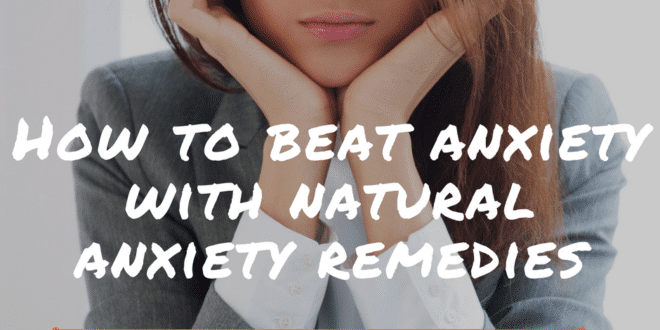 Mild anxieties can be treated with natural anxiety remedies which may include some lifestyle changes, Natural anxiety remedies and herbs for anxiety. However, the chronic anxiety (encompassing suicidal thoughts) must be referred to expert opinions of doctors as soon as possible. Physical aspects of anxiety include stomach upsets, colitis, migraines, palpitations, hypertension, and sweating. Anxiety after trauma, post-traumatic stress syndrome (PTSD), is also increasingly common. Underlying, contributing factors are low blood sugar, food allergy, nutrient deficiency (fatty acids, B complex, etc.) and imbalances of the thyroid, ovaries or adrenals. Natural anxiety remedies can help you get this nutrient in. Many of the herbs that help anxiety work on the same brain receptor sites as drugs like Valium, Xanax, and Halcion. Herbs, however, tend to be gentler, safer and non-addictive. They have relaxant properties but also nourish and strengthen the nervous system. There are hundreds of home remedies for anxiety and nervous disorders. One of the major causes of anxiety is stress that may occur when demands are greater than a person’s ability to cope with them. Improving the coping skills or managing the demands and expectations in life can prevent anxiety. One can also bring some lifestyle changes to keep anxiety at bay. Prevention and some habits are the best natural remedies for anxiety. Here is a list of natural remedies for anxiety that can be tried by people who suffer from frequent anxiety attacks. Exercise- Stay active to avoid the anxiety attacks. Exercise burns off extra adrenaline so jog, walk, cycle, or use exercise equipment like treadmill for at least half an hour four days a week Meditation and Deep Breathing- Learn basic deep breathing techniques from some yoga expert or try it yourself by inhaling for longer than normal, hold the breath for a couple of second and then exhale it. Meditation can also be tried to soothe nerves. Avoiding Junk Foods and Drinks- Refined Sugar and Carbohydrates, artificial sweeteners, caffeine, smoking and such other things should also be avoided to get rid of anxiety. Warm Bath and Aromatherapy- A relaxing bath while listening to some soothing music can calm the anxious nerves. Essential oils used for aromatherapy can also be used to relax oneself and avoid anxiety. Being Positive and Relaxed– Be positive, talk to people with positive attitude, listen to music, spend some time doing your favorite work, pursue hobbies, learn to say no in uncomfortable situations, develop the attitude that things will work out, ask for help when the workload is too much, read your favorite novel or book, talk to friends and family about the issues that concern you. All this will prevent anxiety attacks. • A tension-relieving, sedative, anti-anxiety and antispasmodic herb. • Helps sleeplessness, quells a headache and muscular spasm from stress. • Gentle, non-addictive action that is safe for children and the elderly. • Tranquilizing effects, with action similar to drugs, i.e. Halcion, Valium. • Reduces effects of stress-induced chemicals in the brain, while promoting healthy adrenal hormones (e.g. cortisol). Relieves pain and spasms. • Aids digestion, cramping and back pain. Promotes restful sleep. 3. Ashwagandha- is an important Indian herb that has a mild calming, anticonvulsant and antispasmodic effect. Ashwagandha can significantly relieve most of the symptoms of anxiety, panic attacks, and phobia. 4. Passion Flower- is a nondrowsy natural sedative that provides relief from nervousness and anxiety attacks. 5. St. John’s Wort- is a herb for anxiety that acts as a natural antidepressant. 6. Ginkgo Biloba- this herb improves blood circulation in the brain and elevates mood. • Calms nerves, eases anxiety, restlessness, and tension. For headaches from stress, insomnia/sleep loss, indigestion or effects of alcohol. • Its sedative properties are not appropriate for use during a depression. • Reduces anxiety, fear, tension; alleviates stress from many emotional, interpersonal and career factors. Improves performance; no grogginess. • Relaxes muscles relieve pain, insomnia and promotes restful sleep. • Compares favorably to tranquilizers and benzodiazepines for anxiety. • Relaxing and tonic herb reduces anxiety, restlessness, and nervousness. • Helps with panic disorder, palpitations, racing heart, overactive thyroid. • For digestive upset from stress or anxiety; nausea, indigestion, colic. • Anti-depressant. Good in synergistic combination with other herbs.